Here is a cute little footprint craft for you all from my friend Tracie. 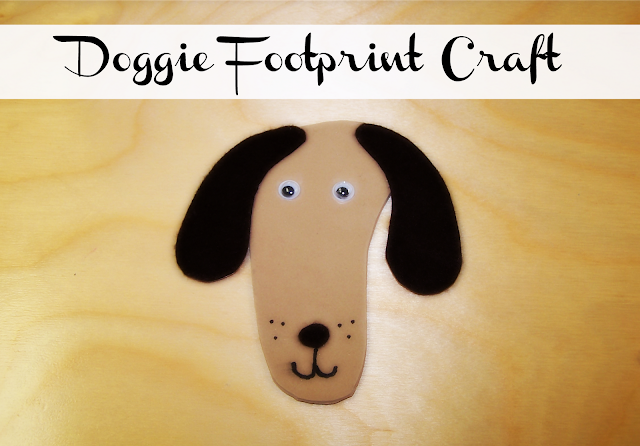 It's a little dog made from just a tracing of a kiddo's footprint. You can use whatever material you like, but this one was made from foam. Once you trace the foot, just cut it out and embellish with eyes, nose, mouth, whiskers, and ears. Tracie used felt for the ears. Super-cute Tracie! Hope you all are having a great week! Three day weekend coming up! Woot!